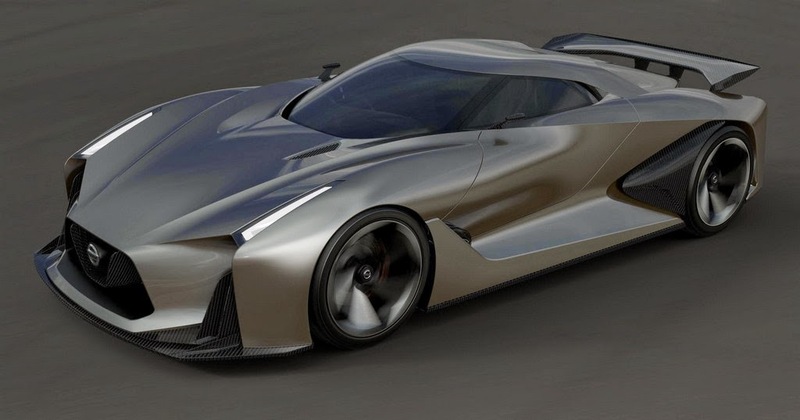 Nissan is one of many car manufacturers that issued the concept car for Gran Turismo 6. Where other manufacturers such as Volkswagen, Mercedes-Benz, BMW and Mitsubishi, had first to reveal the look of their concept car for the famous racing game. Nissan expertly played a pause, because the Japanese manufacturer has not confirmed whether the concepts shown will only be used as an experimental design, or refer to one of the Nissan future cars that are going to slide pave. 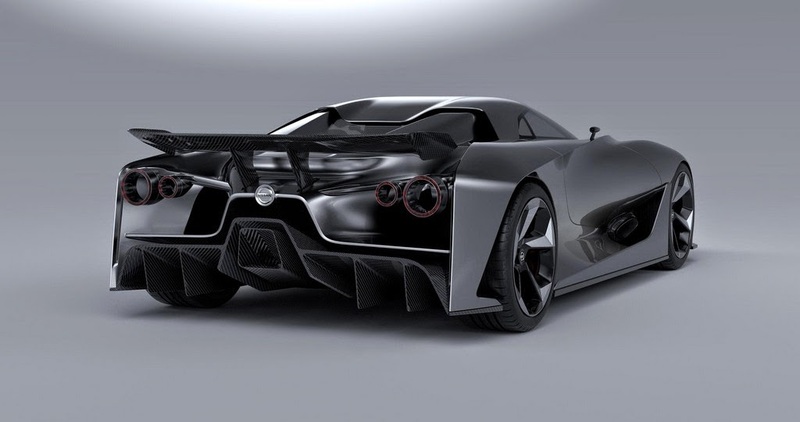 Previously on Monday, June 9, Nissan released a teaser which predicted a Nissan Vision Gran Turismo. The car is shrouded in a red cloth and side by side with 148 another cars which has appeared in Gran Turismo game since its launch in the year of 1997. Nissan showed a Vision Gran Turismo concept car teaser photo, which allegedly resembles the look conjectural future sports car, the GT-R. The picture emerging from the premiere at Nissan's Twitter accounts. Almost no detailed information in addition to photos with dark shades. But that must be understood, these creations can only be enjoyed for a while in the Gran Turismo 6 video game. 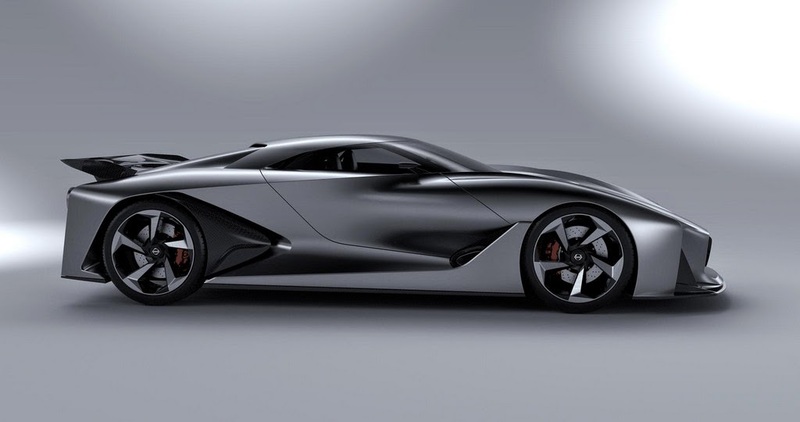 Nissan Vision Gran Turismo will compete with the concept cars from Volkswagen, BMW, Mitsubishi, and Mercedes-Benz, which has been introduced previously. Nissan said its original form will debut at the Goodwood Festival of Speed ​​at the end of this month. As reported by AutoExpress on Wednesday, June 6, 2014, trying to explain dark photos via digital engineering. As a result, the front and side of the face can be revealed a little more clearly. 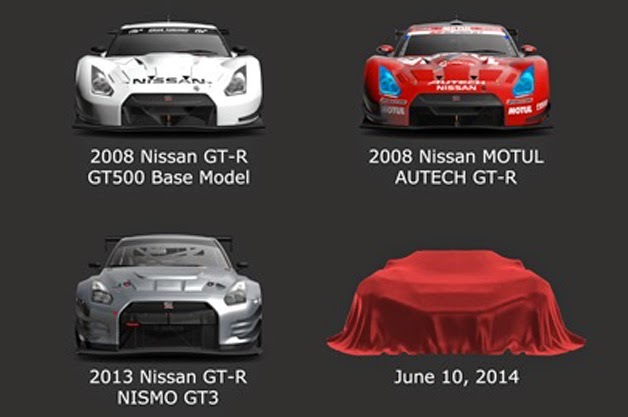 From this it can be identified, there are a variety of design similarities with the GT-R. Described, there are few signs of this concept inspired by the GT-R. Two doors on the coupe body with a large glass and lead vertical headlamps. Indeed, the proportion of the extent of his imagination, and the front air outlet hood is too big, "force" like the grille protrudes out. The original version is certainly not radical like this.